Tony Green was born on 27. November 1939 in Brussels. He today works as a darts commentator for the BBC. 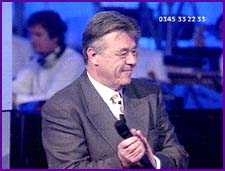 Before this time he was darts referee and master of ceremonies and the host of the show Bullseye on ITV. Green who played himself darts for the county Lancashire when he was younger made himself a name as the main commentator of the BDO World Championship. He is a former BDO official and played a part in the split of darts and in the IDPA - the "players union" of the BDO. At the start of his career he often worked together with Sid Waddell. In December 2010 the BDO announced that Green is ill with cancer and takes a break from commentating.